Elaine had a million dollar idea when she became obsessed with muffin tops on an episode of Seinfeld. She insisted that you had to bake the whole muffin and break the top off the stump to get the muffin top. Little did she know that muffin tops would take on a whole new meaning. A few years ago I mentioned that my jeans were giving me a muffin top and one of my male friends gave me bewildered look. I had to explain just exactly what that was – you see the jean makers of the world got together with the personal trainers of the world and came up with the crazy idea to sell really low-rise jeans. The result, no matter how flat of a stomach you have those low riders are gonna push that extra fluff right up over that waistband! So muffin top and all, I decided to make a healthy muffin that won’t add too much fluff to the waistline! In a blender or food processor, pulse oatmeal a few times for a rough cut – not to0 fine. 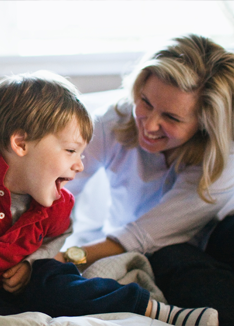 Combine flours, oatmeal, baking powder, baking soda and salt in a small bowl. In a large bowl, mash bananas. Then add the egg, sugar, buttermilk, applesauce, oil, vanilla and stir together. Add dry ingredients to the wet ingredients and fold together. Do not over stir. 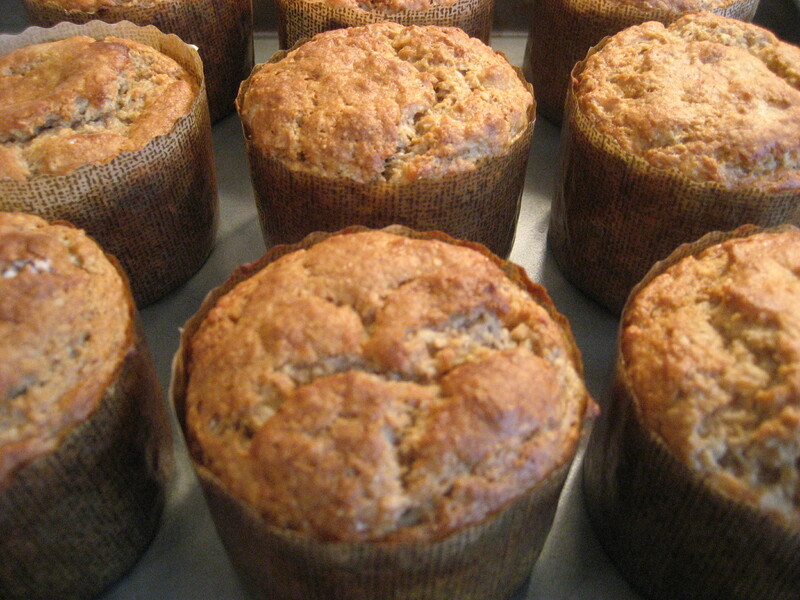 Fill muffin cups and bake for 18-20 minutes. This will make 12-15 medium-sized muffins. 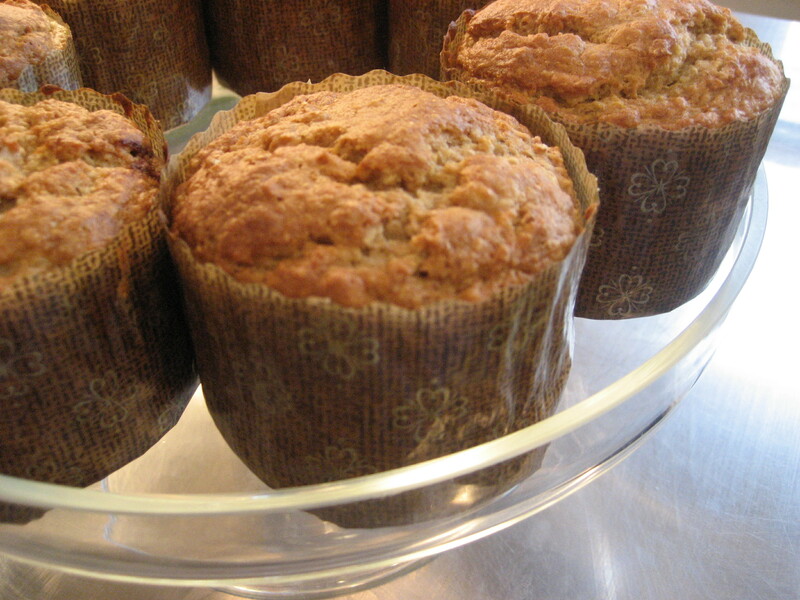 I made extra-large muffins using Panettone paper baking molds from Sur La Table. The cook time for an extra-large muffin will be about 20-25 minutes. When I punched in this recipe to My food diary’s recipe builder. 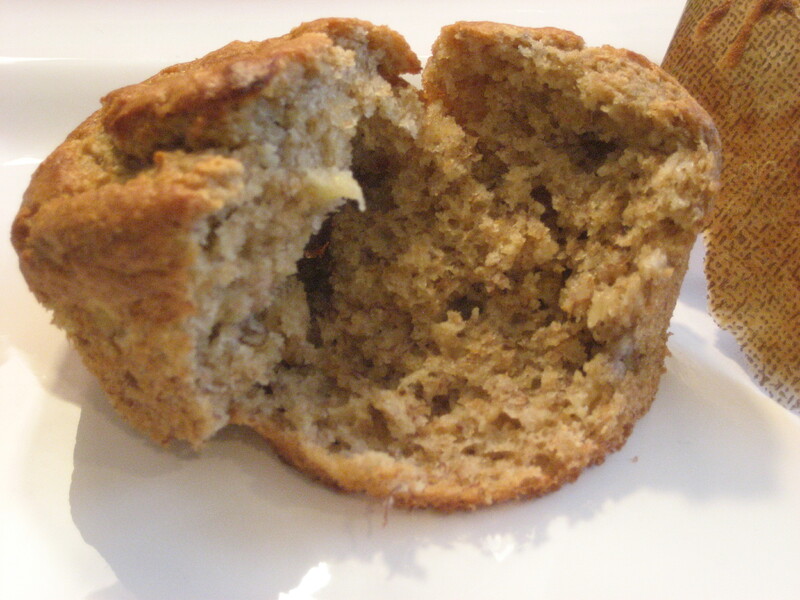 The calorie count per muffin was around 170 calories with 5 grams of fat. This entry was posted in Breakfast and tagged baking, banana, breads, cooking, Food, healthy, muffin tops, muffins, oatmeal, Sur La Table, whole wheat on January 30, 2011 by lolleigh. I can vouch for these, delish ! I didn’t miss the not so good for us ingredients at all.